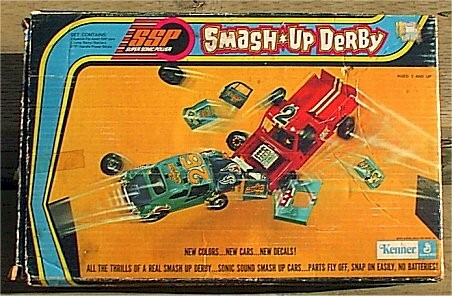 In 1970, Kenner launched one of the coolest, most destructible ideas to date - the Smash-Up Deby! Basically the set consisted of two plastic cars with parts that clipped into place (wheels, hoods, bumpers, etc.). 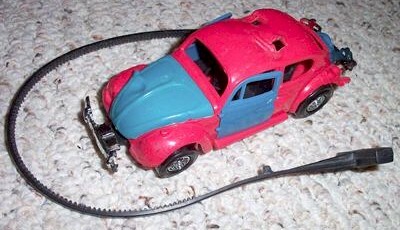 The cars were powered with a rip-cord action system that worked fantastic. Kids square off opposite one another with a car in hand, shoot them toward one another and CRASH...parts go flying. Ramps came with the boxed sets which really added to the fun. 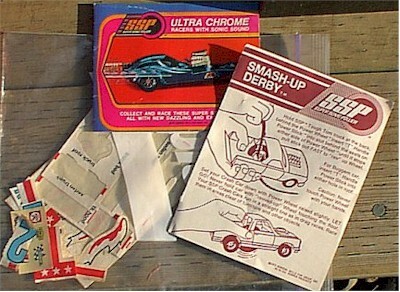 Kenner issued several boxed versions that came with two vehicles. In addition, you could buy ripcords and individual cars separately under the SSP line. Basic Smash-Up Derby Set Buggem Smash-Up Derby Set Smash-Up Ramps Did You Know? 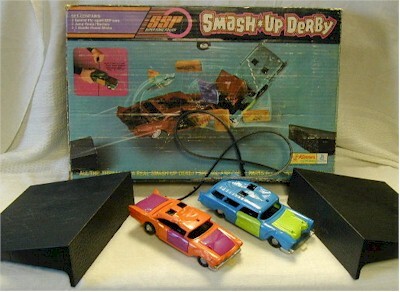 This is the most common SSP Smash-Up Derby made by Kenner. 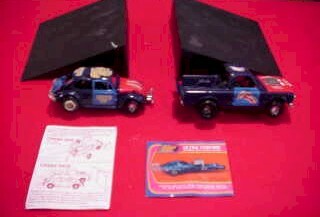 The set included 2 cars: the '57 Chevy Nomad (blue) and the '57 Ford (red) as well as two black ramps and two T-Handle Power Sticks. Getting your paws on a complete set with instructions is not easy as most sets I have found have been missing pieces here and there. This set is probably more popular than the early issue standard set. For some reason the VW Bug vs. Pick-up truck collision is just too tasty to pass up! Kenner upgraded the cars and added chrome (called Ultra Chrome) to give them some more flare. 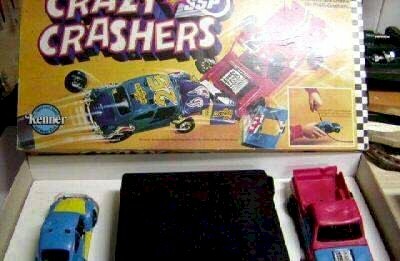 The bug and truck were available in a number of colors and also issued later as "Crazy Crashers". 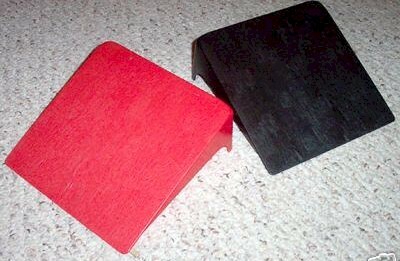 Most sets came with black ramps but the 1976 Bi-Centennial set came with red ramps. Most people don't know (or forgot) how the smash-up action really works. The 1st issue cars had white trigger mechanisms that stuck out from the front of the cars. When the cars collided, this trigger pushed in, and unleashed the spring-loaded part holders. The bad news is, the first cars had small "triggers" and thus if you did not line them up right or hit head-on...the crash wasnt so great! 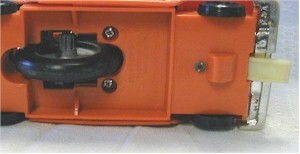 Kenner wisely changed this up and added larger triggers and made them part of the bumpers. Smart they are, quick they think. The Force is strong in this one. Mmmm?